The “Palm Jumeirah” is a man made island in the shape of a Palm tree and is located on the Jumeirah coastal area of the emirate of Dubai in the United Arab Emirates (UAE). 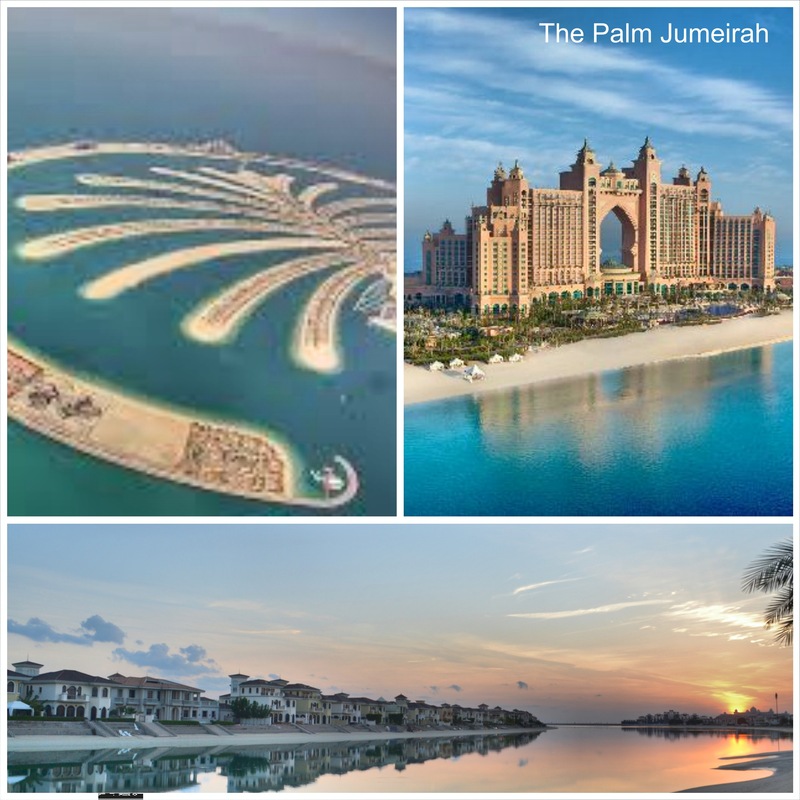 The “Palm Jumeirah” island features themed hotels and resorts, villas, apartment buildings, beaches, restaurants and a number of retail outlets. 1. 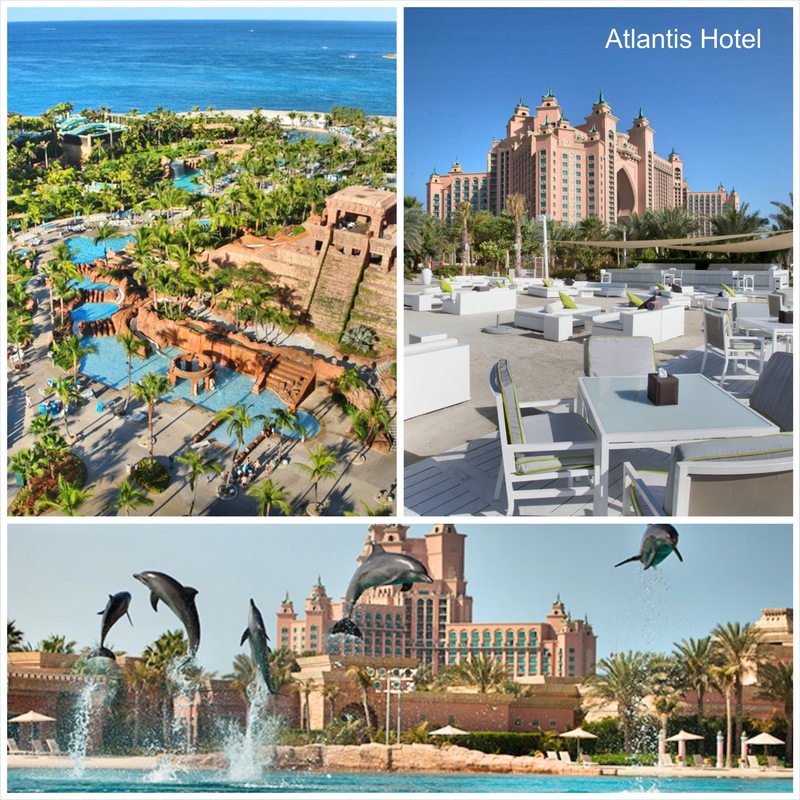 The Atlantis hotel which has vast number of entertaining options including a water zoo, Aquaventure water park, Dolphin bay (a dolphin habitat where you can swim with the dolphins or choose your own dolphin experience) , Nasimi beach and numerious restaurants and bars. 2. Jumeriah Zabeel Saray which is home to one of the most happening nightclubs in Dubai , Music Hall. 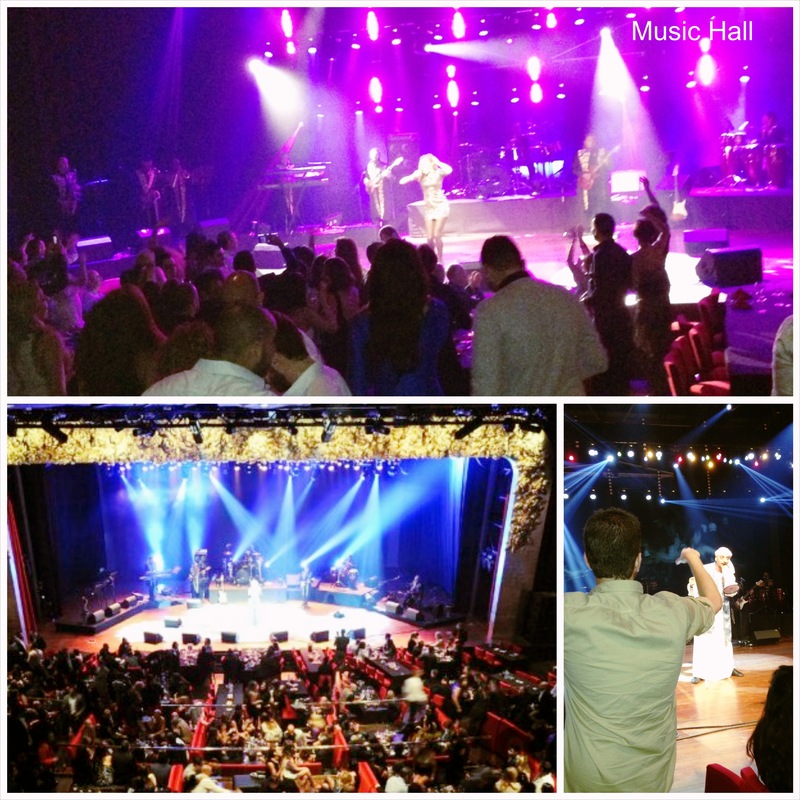 Music hall is a new concept that offers dinner and live entertainment concept. You can enjoy more than 10 unique live music acts during the night while dining and having some drinks. 3. 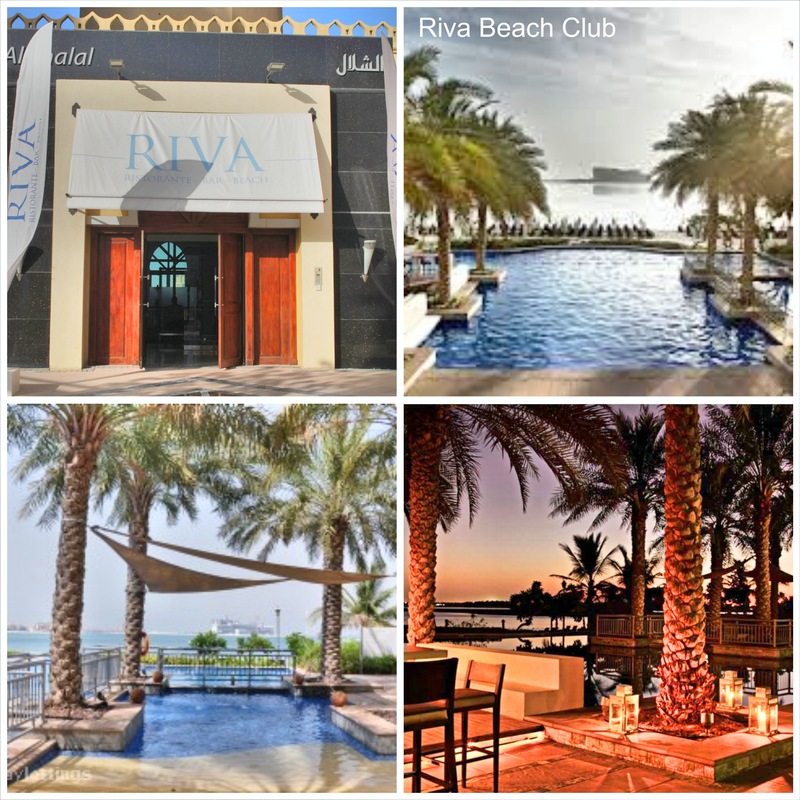 One and only The Palm Resort: present in the one of the “prettiest” hotels in Dubai, 101 dining lounge and bar is located by the resort’s private marina. 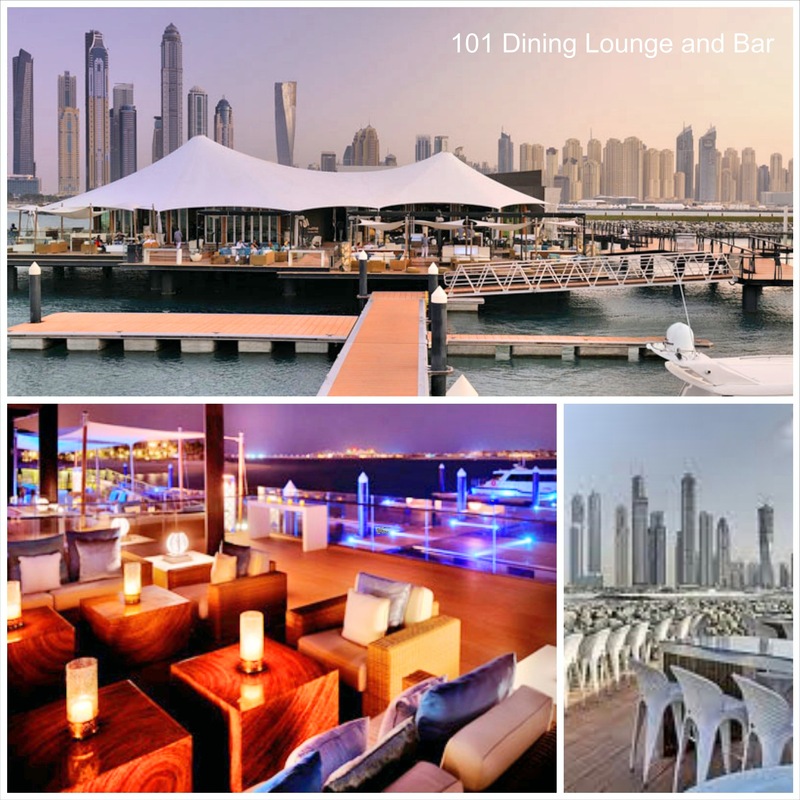 The over-water chill out lounge offers breathtaking panoramic views of Dubai skyline. This chic venue offers both outdoor and indoor seating areas. 5. 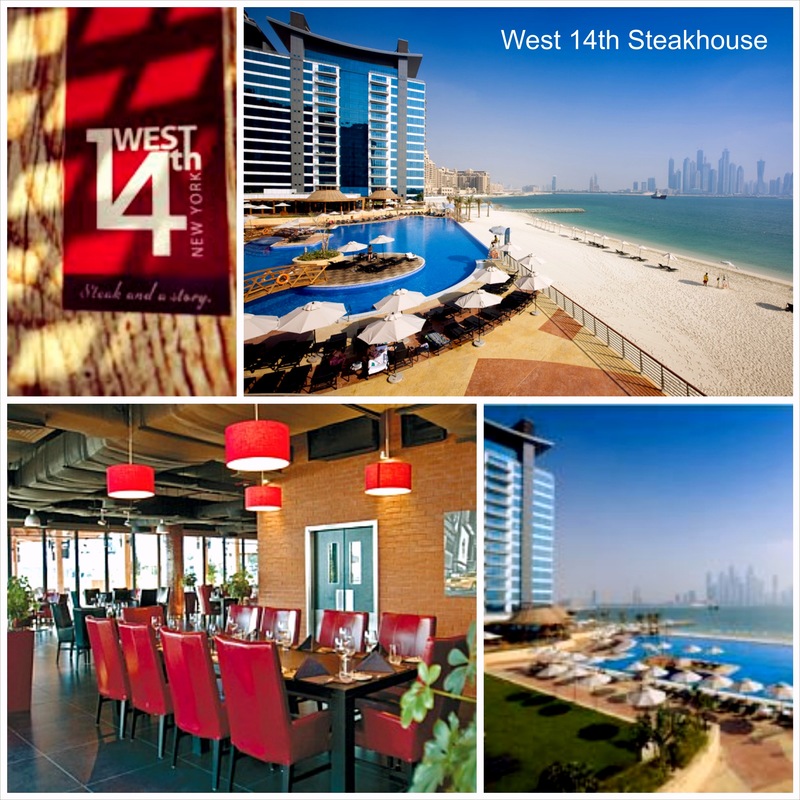 West 14th steakhouse: a trendy steakhouse with an open loft inspired interior and an amazing outdoor bar deck. The bar deck offers great views of the Dubai Marina skyline and is a great place to watch the sunset over the beach while enjoying a drink or shisha. One more thing to mention, the 2014 new year firework on The Palm broke the world record for the largest ever firework display. This has secured Dubai a permanent fixture on the world map of New Year celebrations. So on your next visit to Dubai, make sure to pass by the island and if you happen to be passing over Dubai by plane then make sure to include a couple of days lay over in this fascinating city! You will not regret it J What are you waiting for? Book your next ticket to Dubai on Emirates airline (www.emirates.com). Gallery | This entry was posted in Uncategorized and tagged 101, atlantis, blog, destination, Dubai, dxb, emirates, fun, musichall, oneandonlyhotel, riva, sun, thepalm, travel, travellingb, travellingblog, uae, vacation. Bookmark the permalink.